SEO has been on my mind a lot lately after giving an SEO talk to some really great, hardworking service based business people. Now, these are guys who are out there in the trenches every day, making a living and busting their butts through manual labor. They are a mixed bag when talking about marketing, some are on the side of “I do it all by referral”, which is great and I never argue with! The last group is the majority. They have a website that is not ranking on in the first spot of Google. They might not even be on the first page. One fellow that I was emailing with said that he was sick of the hype from SEO companies when they sold him about getting him on the first page, only to say that it was too competitive and giving up. Having taken a peek at his market and seeing the competition, I would say that trying to do it with just SEO (getting backlinks and SEO’ing a static site) would not cut it in 2014. There really is just too much competition out there for a pure SEO play to work, in addition to the fact that Google has taken away all the tools to measure which pages are working for which keywords and why. Now we are having to guess which pages might be ranking well and then try to reverse engineer an idea of what might be going on. So if SEO as a pure play is not working now, what is? It is definitely a mix of good SEO practices combined with social media and videos. Because Google search returns such mish mash of Videos, News, Google+ posts, websites and maps, it is impossible to know which one will tip you over and start producing great traffic results. It could be a video that you nailed or the Google+ post that gets shown every time someone searches for your keywords. Whatever winds up working, you can bet it will not be just because you got some backlinks and optimized a couple of pages. Today’s search is so much larger than the “old days” when there were 10 static results that were the same for everyone! 1. Check Google Webmaster tools. Use Google Webmaster tools to see what you rank for right now, these are the keywords that you are going to focus on short term. These low hanging words are your best bet for moving up fast. 2. Share your best posts on social. Not just once, scheduled out over time and mixed up so that you are not spamming. Make sure you are including a mix of industry posts and your keyword targeted posts. 3. Check out your competitors to see what they are ranking for. You may find new words to target and even if not, you can see what kinds of efforts they are using to get there. 4. Grow your social. While follower counts are not the be-all and end-all, it is silly to ignore the millions of people who are using one or the other of the social sites daily. 5. Make some videos. Google owns YouTube and it is the second biggest search engine in the world. Video results show up on search. There really is no good reason not to be rocking the videos. 6. Produce regular content. Google’s Caffeine algorithm update a few years ago started rewarding sites with new content (like blog posts). 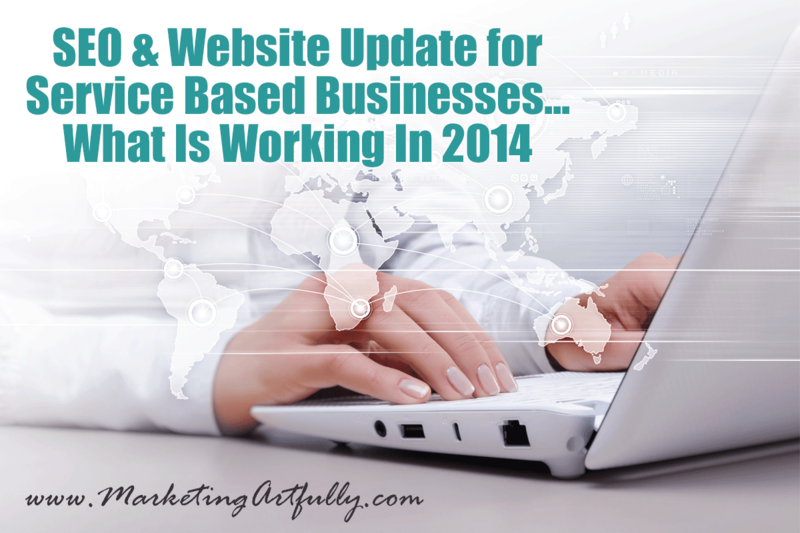 If you are not regularly updating your site you will be fighting to keep your search listings. 7. Speaking of updating your site. Make sure you have a blog, either as your website or as a stand-alone supporting your blog. Either way, you need to know the power of blogging! Basically anyone who is performing a “service” that can be fulfilled locally. The reason this works so well is that you are not just targeting a search term or location but the convergence of the two. Ranking well for Accountant might be nice, but it would be much more beneficial to rank for Denver Accountant if you are serving local people.